The Lankans are next scheduled to play South Africa. Sri Lankan cricket was at its peak when they defeated Australia in the final to win the 1996 World Cup in the Indian sub-continent under the leadership of the evergreen Arjuna Ranatunga. The Islanders also played the 2007 and 2011 World Cup finals, albeit they lost against Australia and India respectively. The country has produced a plethora of talents over the years and carved numerous records. Off-spinner Muttiah Muralitharan is the leading wicket-taker in Tests with 800 scalps and the record doesn’t seem to be broken anytime soon. The country also has produced the likes of Sanath Jayasuriya, Aravinda de Silva, Kumar Sangakkara, and Mahela Jayawardena, who went on to torment the opposition bowlers. However, the last few years haven’t given Lankan cricket much to cheer about. Ever since January 1, 2017, Sri Lanka haven’t won many games. Out of 27 Tests, 49 ODIs and 24 T20Is, they have won eight, 11 and nine games respectively. Recently, the Lankans crashed out of the 2018 Asia Cup in the UAE after defeats against Bangladesh and Afghanistan. Their cricket has also been marred with controversies, surrounding match-fixing and that has been a major detriment. The abject state of their cricket can also be comprehended from the fact that they have had as many as nine international captains from 2017. 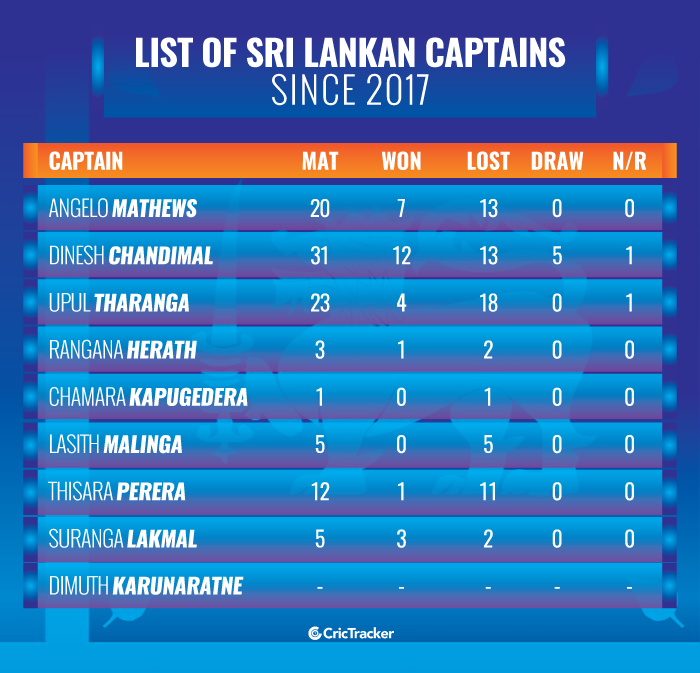 Among them, Dinesh Chandimal has been the most successful with 12 victories from 31 matches. Left-handed batsman Upul Tharanga has had the roughest patch as the skipper of the national team with only four victories from 23 matches. 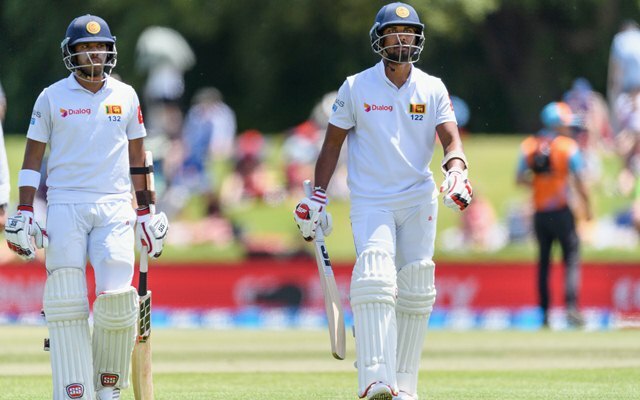 The Lankans recently lost the two-match Test series against Australia under Dinesh Chandimal. Sri Lanka are next scheduled to play a two-match Test series against South Africa and would be keen to perform as per performances. In the meantime, Dimuth Karunaratne has been named as the Test captain and Karunaratne is set to be the ninth captain in the last two years.